Fred was born and raised in California. He received his B.A. degree at UC Berkeley and his J.D. from UC Berkeley’s Boalt Hall. Afterward, with the exception of three years active duty as a legal officer in the United States Coast Guard, he practiced law with the Los Angeles based law firm Gibson, Dunn & Crutcher from 1965 until his retirement from the partnership at the end of 2003, specializing in the area of business litigation. He and his wife Carol were married in 1967 and raised a daughter and three sons. Fred became a trustee of the Philatelic Foundation in 2011. A stamp collector from boyhood days, he has focused his philatelic interest on the stamps and postal history of 19th century Hawaii for the past 40 years. Mentored by Hawaii collectors Thurston Twigg-Smith, Wallace Beardsley, Ed Burns and others from the prior generation, Fred became a recognized expert in Hawaiian philately. In the late 1990s, he created Post Office in Paradise, Mail & Postage Stamps of Nineteenth Century Hawaii (see www.hawaiianstamps.com). 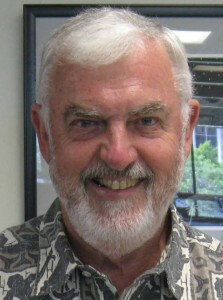 He has authored numerous articles on Hawaii stamps and postal history; he authored "Hawaii Foreign Mail to 1870", a three volume set edited by Robert Odenweller and published by the Philatelic Foundation in 2012, earning numerous awards at the national and international level. Fred is a member of the governing boards of several philatelic organizations. Fred and Carol enjoy their family, including four granddaughters, and add travel, the Bancroft Library at UC Berkeley, football (i.e. soccer) and reading to their interests.